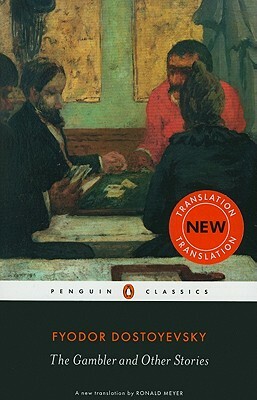 The Gambler and Other Stories is Fyodor Dostoyevsky's collection of one novella and six short stories reflecting his own life - indeed, 'The Gambler', a story of a young tutor in the employment of a formerly wealthy Russian General, was written under a strict deadline so he could pay off his roulette debts. This volume includes 'Bobok', the tale of a frustrated writer visiting a cemetery and enjoying the gossip of the dead; 'The Dream of a Ridiculous Man', the story of one man's plan to commit suicide and the troubling dream that follows, as well as 'A Christmas Party and a Wedding', 'A Nasty Story' and 'The Meek One'. Fyodor Dostoevsky (1821-1881) was a Russian novelist, journalist, short-story writer whose works had a profound influence on the 20th century novel. Most of his important works were written after 1864: Notes from Underground (1864), Crime and Punishment (1865-6), The Gambler (1866), The Idiot (1869), The Devils (1871) and The Brothers Karamazov (1880). Ronald Meyer teaches Russian literary translation at Columbia University. He is the editor of the Penguin edition of Dostoyevsky's Demons, translated by Robert A. Maguire (2008), and Anna Akhmatova's My Half-Century: Selected Prose (1992); co-translator, with David Lowe, of The Complete Letters of Fyodor Dostoyevsky, volume 1 (1988); and co-editor of Russian Literature of the 1920s: An Anthology (1987).